An alpha male killer whale, easily recognizable by his towering dorsal fin, breaks the surface of the water in Southeast Alaska. 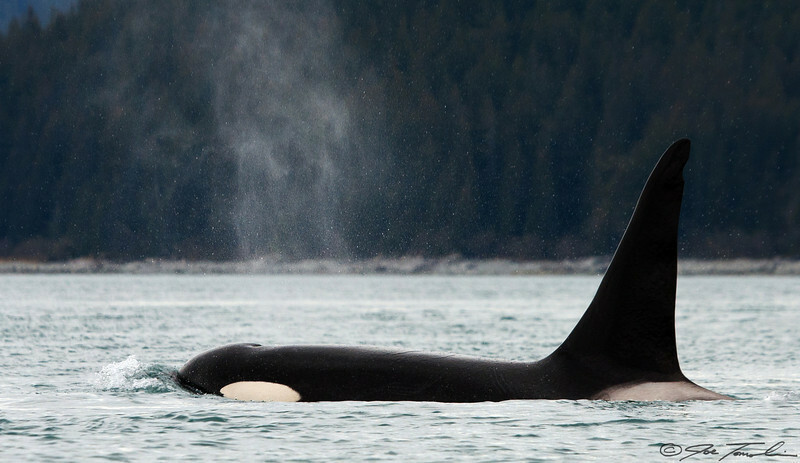 This guy belongs to a resident pod of Orcas, which means they are fish eaters. This pod was probably gorging themselves on the abundant salmon that were beginning to show up in the area.